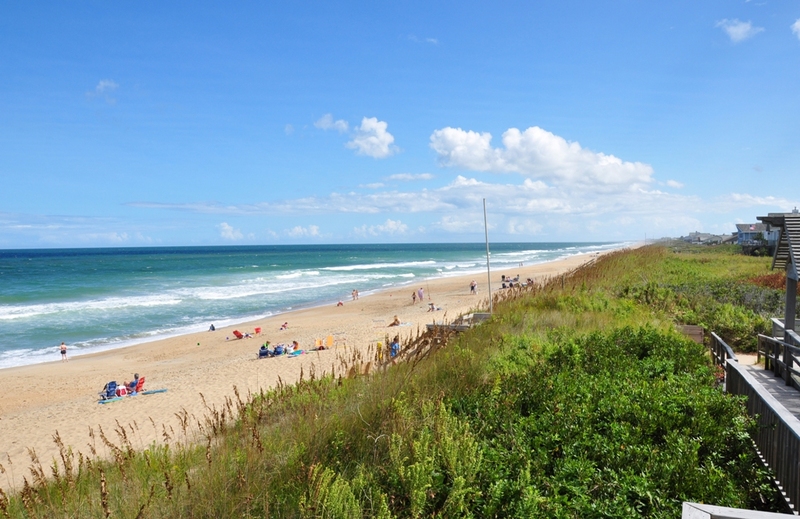 Southern Shores, NC is predominantly a residential seaside community that’s located on the northern end of North Carolina’s breathtaking Outer Banks. As part of Dare County, North Carolina and having a population of 2,714 (as of the 2010 Census), there’s no doubt that Southern Shores is the place to be if you’re in search of a quiet community with not nearly as much tourist traffic and hustle-and-bustle. The main reason for the calm, low-key vibe around Southern Shores is the overall lack of commercial development. Instead, it’s the feeling of solitude and sense of escape that make homes for sale in Southern Shores extremely desirable for year-round residents who want to enjoy the Outer Banks of North Carolina without all the stresses of crowded beaches, busy restaurants, and the constant invasion of seasonal vacation-goers. However, should the inevitable urge come about to take in some fabulous shopping, amazing restaurants, and nightlife, plenty of these amenities are just a short drive away in the neighboring communities of Duck, NC and Kitty Hawk, NC. Southern Shores real estate in North Carolina is dominated by attractive, and often affordable, single-family homes for sale. If an oceanfront living is at the top of your wish-list, Southern Shores offers some the most unique and charming oceanfront properties. So if Southern Shores, NC sounds like your type of town, contact Matt Myatt at Village Realty to learn what Southern Shores real estate for sale may be available that fit your needs!